Your decks can be downloaded as PPT, PDF and HTML offline files. These files can be used for printing and offline presenting or sharing, keep in mind that the exported slides are non-editable. 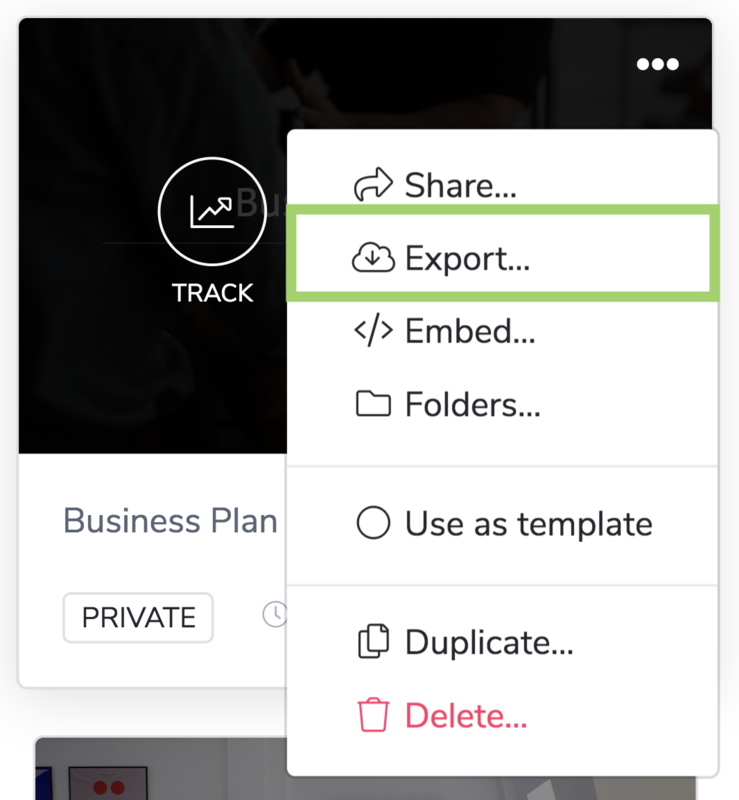 To request an export, from your dashboard home page just hover over the presentation and look for the Ellipsis button (three little dots). This export format allows you to present while being offline. Once you request it, a .zip file will be downloaded. Open it and expand the folder to find the HTML file within. This will open your presentation in your default browser and it will keep all animations and features for offline presentations. Please note that videos can't be reproduced while being offline. With this download format, you'll get an image of your slides containing all visual information but without transition animations. This file works for printing and sharing an offline file. *Exporting presentations isn't available with a free account.